Staring out from the front cover of this week’s ‘Time’ magazine is a striking, unsettling picture of Vladimir Putin and Donald Trump morphed into one. The hidden, yet unsubtle messaging behind the image is equally unsettling. 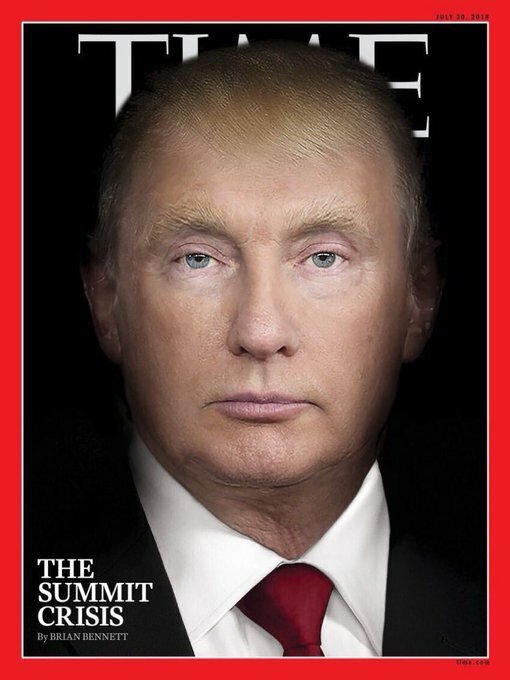 Time describes the image as “meaning to represent this particular moment in US foreign policy, following the pair’s recent meeting in Helsinki, Finland.” However, what it really represents is the way that a major US media outlet wants its readers to see these two men. As strange and creepy figures who are in some way linked.